A nationally recognized labor union was searching for a way to automate their voter registration process and increase registrations. Historically, labor workers had to fill out a manual form to get registered to vote. This time-consuming process resulted in a low voter registration across the United States, including Nevada, Pennsylvania, Ohio, and others. Barcodes, Inc. was able to recommend the AirTrack S2 as their new voter registration scanner. The S2 features a 2D imager scan engine, lightweight design, and is able to withstand repeated drops from 5 feet onto a concrete surface. The labor union was satisfied with Barcodes, Inc.’s scanner recommendation and even more impressed that Barcodes was able to configure the devices before shipping in order to read a barcode off of an individual’s driver’s license and parse only the information required and into their software program, thus saving both the union and the individual a lot of time. The labor union’s voter registration spiked, their accountability of registrations improved, and their start-to-finish registration process time decreased immensely. 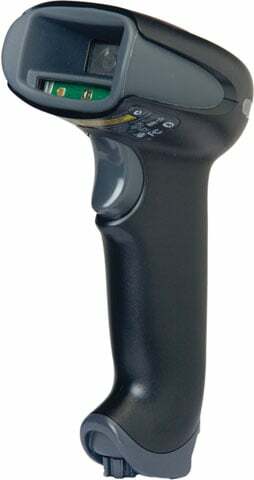 For more information about our AirTrack barcode scanners, contact one of our representatives. Impinj has introduced the xSpan RAIN RFID gateway to improve item visibility throughout your facility or across your global supply chain. Elegant enough for retail stores, yet rugged enough for warehouses, the Impinj xSpan gateway helps businesses reduce costs and increase sales by providing item monitoring and transition detection in real-time. When combined with the Impinj platform, the xSpan delivers always-on, hands-free Item Intelligence to provide each item’s identity and location along a path, making it ideal for facility entrances and exits, doorways, hallways, and similar spaces. Simple Deployment: xSpan is power-over-Ethernet (PoE), low-profile and lightweight, making it versatile and easy to install on both ceilings and walls. xSpan maintains peak performance with Impinj’s patented Autopilot technology, which automatically optimizes xSpan’s settings based on its environment. UPC barcodes are one of the most commons codes that are being read daily around the world. If you’re not familiar with the UPC code you can find it on any commercial product from the grocery store to the everything on Amazon. The UPC number itself is referred to as the GTIN (Global Trade Item Number). The GTIN is made up of two parts: The UPC Company Prefix and the number that you have assigned to that unique product. This information is how any business can recognize what each product is. The UPC code is a standard 1D linear barcode so almost any device will be a suitable UPC barcode scanner. The primary concern when choosin g a scanner will be reading performance to keep up with your specific application. By far the most common, laser scanners are more than capable of reading any UPC. These scanners often are the most cost effective solution but you will need to properly line up the red laser line with the UPC to get a good read. This usually isn’t a deal breaker but for higher volume applications you may want to look at other options. One of the most popular laser scanners today is the AirTrack S1. 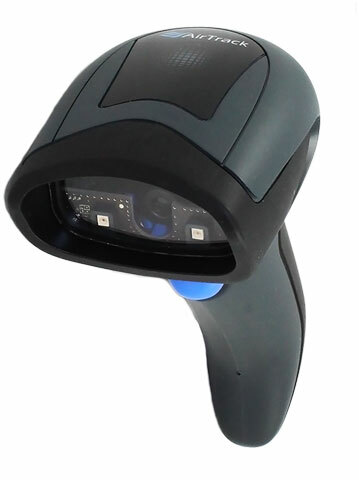 Imager-based scanners utilize a specialized camera to read a barcode as opposed to reflecting light like on a laser. This means you can capture barcodes without really aiming. Just get within the reading area of the imager and you can get a positive read. Upside down, sideways, it doesn’t matter. Imagers like the AirTrack S2 will improve scanning accuracy and speed for faster check-out lines and inventory check-ins. The Honeywell 8670 Wireless Ring Scanner brings a lot of versatility to the mobile warehouse worker. It’s 1D and 2D scanning performance, fast decoding, and ability to read poor-quality or damaged barcodes make it the best in the industry. A few things to highlight a few things about the Honeywell 8670. Lower profile ring scanner. The Honeywell 8670 ring scanner has a much lower profile than the Zebra RS507. In other words, it sits lower on your finger. This is important because with this device you’ll be doing lots of piece picks, case picks, etc. With a lower profile ring scanner you are much less likely to hit the scanner on the bin/racking when reaching into a bin/racking to pick something. Rack hits = frustrated operator, progress disruption, damaged scanner. No ring spin! The scanner button on the Honeywell 8670 does not sit below the finger. So when you pick up a box the scanner stays put. If the button sits below your finger the scanner will spin every time you pick up a box. So you’ll have to readjust your scanner after every pick. Life with a scanner that does not take this into account turns a 2 step process into a 3 step process. Step 2: Pick up box. Step 3: Re-adjust ring scanner. Practice putting the ring scanner on until you’ve got it down to one smooth motion. This also applies to the wearable computer. First impressions go a long way, and if a your workers continue to fumble with the scanner trying to put it on…well….then it diminishes the productivity that you are trying to capture in your business. Janam has announced that Microsoft’s Windows 10 IoT Mobile Enterprise operating system is now available on its XT2 rugged touch computers. Windows 10 IoT Mobile Enterprise provides maximum security, reliability and computing power and enables interoperability between the XT2 and IoT devices, independent of operating system protocols and platforms. 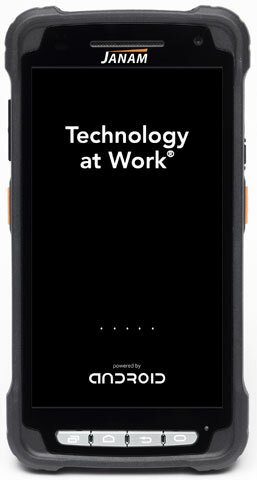 The recently launched XT2 is the lightest and most rugged device in its class – enabling mobile employees to work smarter and more efficiently. With both Android 5 Lollipop and Windows 10 IoT Mobile Enterprise versions, XT2 customers now have access to two of the industry’s most powerful operating systems in the same sleek, rugged and lightweight form factor. Windows 10 IoT Mobile Enterprise provides an intuitive user experience, as well as native support for barcode scanning and other peripherals. With the new OS support the XT2 enables organizations to efficiently collect and manage data, monitor security and increase productivity for on-the-go employees. At the end of the day, your business can only work as fast as your network can keep up. Ever increasing demand to support more mobile devices and applications, as well as customer engagement, redefines the network year after year. Get ahead of the curve with the Zebra AP 8533 and AP 8432. Experience the amazing speed and capacity of both the AP 8533 and AP 8432 with true 802.11AC Wave 2 capabilities to expand your bandwidth and capabilities.